Paris St Germain matched Chelsea all over the pitch last night in their dramatic Round of 16 Champions League victory, and this was all the more remarkable considering they played over 90 minutes with 10 players. Add this to the fact that Jose Mourinho’s men appeared to resort to non-committal tactics once they went 1-0 up in the tie, despite the visitors to Stamford Bridge being a man down after the questionable sending off of star man Zlatan Ibrahimovic. Aside from the obvious 2 goals a-piece, the other match data is strikingly even when taking into account the discrepancy in manpower. 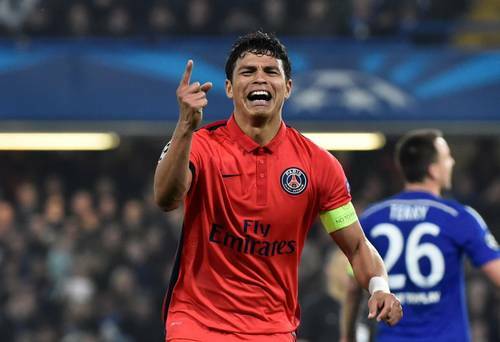 Chelsea managed 13 shots on goal compared to PSG’s 14. 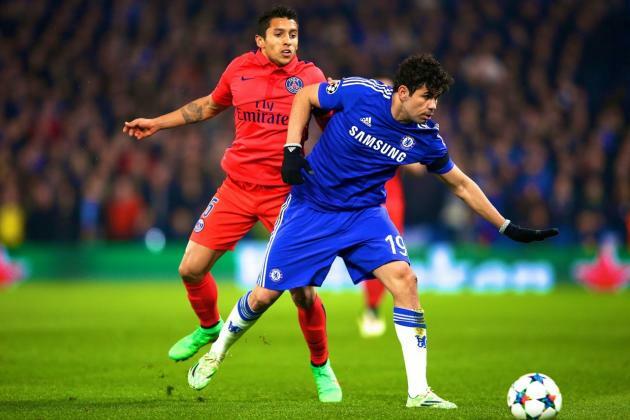 Chelsea created 18 ‘good scoring chances’ in the game, only 4 more than PSG’s 14. PSG did remarkably well to take a 48% share of ‘live ball possession’ considering their disadvantage. They also managed to put in 2 more crosses than Chelsea’s 10 from open play. In terms of the number of set pieces both sides earned, again, PSG’s 10 men produced 4 more (19) set pieces than Chelsea’s 15. Crucially, from their 10 corners, their percentage of ‘dangerous events’ was an impressive 40%, compared to Chelsea’s 14% from their 7. Being outworked and outhustled is unfamiliar territory for the 2012 European kings, and so is vulnerability from corners, an area in which the Blues usually excel in both defensively and offensively. While Mourinho admonished the “aggressive” approach of PSG, he failed to show appreciation for the qualities that could provide the French side with their first Champions League title. Their battling display in London might well place them as the neutral’s favourite to win club football’s most prestigious side. « Change of Shape – How Has Liverpool’s Season Turned Around?